After retiring from competitive racing in 2000, Peter Blake established ‘blakexpeditions’ to undertake educational voyages to oceans and waterways of great ecological significance. Blake used the polar exploration yacht Seamaster for these trips, first to the Antarctic Peninsula and then to Brazil. 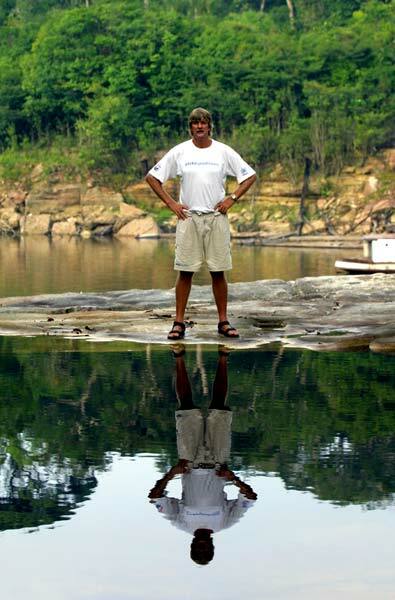 He is pictured here on the banks of the Amazon in Brazil.